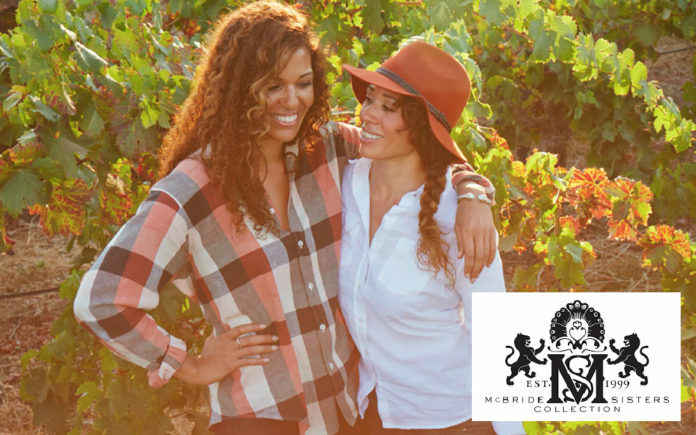 A couple of years ago, we did an enlightening story on the wine making McBride sisters. The story was especially interesting because although both Robin and Andréa were born in Los Angeles—nine years apart, they were raised by different mothers and without the knowledge of each other. 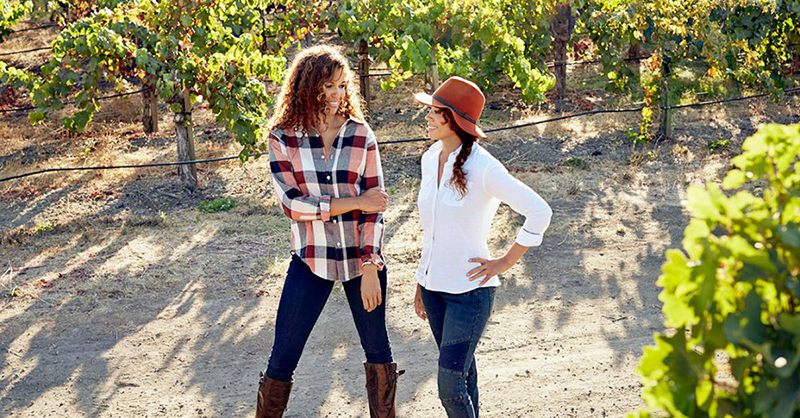 The kicker in the story is that both girls individually shared a passion for winemaking growing up in two different but famous wine regions in the world: the elder sister Robin was raised in Monterey, California around coastal tide pools, forests and vineyards, while Andréa was raised in her mother’s native country of New Zealand, where she learned firsthand the art of grape farming from her uncle in Marlborough. And it’s quite an account on how the sisters came to meet. Their shared biological father, Kelly McBride, wasn’t around for most of their lives, but before he died of stomach cancer in 1996, he asked his family to try and connect the two girls. The request was daunting but as family does, they persisted, even going to the Department of Motor Vehicles of many states and pulling the records of every Robin McBride listed and writing dozens of letters in the effort to connect. Their paternal uncle and aunt located Robin’s whereabouts and sent her a letter. Therein she wrote, “I’m your aunt, and I’m sorry to tell you that your dad has passed away, but you have a little sister,’” Robin said, “it was very shocking.” And the day after receiving that letter, the sisters were united for the first time in 1999 at the ages of 16 and 25. Brainstorming their shared talents, abilities & goals and combining their 10 years of industry experience, the two embarked in 2010 on a winemaking journey together, launching their own négociant winemaking business. They were adept to know that wine production—with the right knowledge and contacts—can be made possible with access to vines, vineyard operations, crushing facilities, barrel storage, bottling & distribution without having to own an established winery. So a couple of years ago, the ladies utilized the brand name “Truvée”, celebrating the French term “found” that summarized their fortuitous and serendipitous encounter. We reviewed their very tasty and reasonably priced Central Coast Chardonnay and Red Blend and immediately picked up their style of combining old world and new world presentation, i.e., bringing affordable luxury flavor profile to contemporary wine drinkers. This time around, for their 2015/2016 vintages, the family company now uses the brand McBride Sisters Collection, and they have just released 4 new wines, of which I find to be world class and indeed, prompted me to write this revisiting article! The new Sisters Collection includes a Chardonnay and a Red Blend from Robin’s hometown of California’s central coast, and a Sparkling Rosé and Sauvignon Blanc from Marlborough, NZ, Andrea’s hometown. The collection is crafted in the Sisters’ signature style, a blend of old world elegance with new world finesse. As I’ve stated, they’ve hit this vintage out-of-the-park and this portfolio strikes me as being already some of their “greatest hits”. Right now, Sauv Blanc from Marlborough is a world craze—they love its crisp, cleansing, invigorating profile that goes with so many dishes and meals. The 2016 McBride Sauvignon Blanc has the classic perfumed bouquet with aromatics of grapefruit, lime blossom, and nectarine. The palate continues with nectarine but add peach and citrus flavors, and tropical nuances of papaya, and guava. Complexities continue with a back-palate of lime, nettles and sage. Did I not say this was a lively and exciting wine! It has great mouth-feel with a refreshing vein of acidity. It all works; it’s a delicious wine for around $15. For the wine nerds among us, I urge you go on the website, www.mcbridesisters.com to glean info on the NZ fruit used and their specific wine making process for those so interested. Actually the fascinating wine making processes on all four wines are described. Of course, the world-crazed wine in the room is a sparkling brut rosé. And the Sisters’ Collection delivers one of the best such bubblies for under $20. The Pinot Noir used in the wine (along with Chardonnay) was sourced from complementary vineyards sites located in Marlborough’s Wairau Valley, the largest component is from Kelly’s Creek Vineyard in Spring Creek—and here you go: Andréa helped plant these vines as a child! Although we knew this 2016 McBride Sparkling Brut Roseé was a kiwi wine, it certainly came through with all of its fresh and lively presentation. If you haven’t heard yet, Pinot Noir from NZ is on the brink of impressing the world big time with its own style that rivals any other region. On the nose, look for rose petals, complimented by strawberries and cream, with a rush of freshly crushed red berries. All of the red fruits carry through the palate, especially cranberry, strawberry, raspberry and add a peach note to the mix. There is a hint of toasty complexity, and some creamy richness and a dry finish with lingering hints of spice. For both dinner parties and the patio, this is sophisticated, crisp and refreshing. Returning to California’s Central Coast, we have the McBride 2016 Chardonnay and 2015 Red Blend. Just from two years ago, their talents have surged to stellar heights. There is a real sense of a European wine philosophy where the wine’s complexities are on par with fruit. The Chard owns charming aromas of quince, ripe Granny Smith apple, pear, and citrus. These follow into the palate where it’s balanced with wonderful acidity keeping things lively and fresh for sipping and meals. The Red Blend is one of the best under $20 California blends I’ve enjoyed lately. Inviting black cherry notes open with blackberry, mocha, and a hint of raspberry cobbler following. Dark fruits follow into the palate with the right amount of fine tannins to accompany your meat dishes. Find these wines particularly at Ralphs Markets and you can shop on line. What a wonderful line-up—thanks ladies! Cheers! Next articleAmazing Dogs Know What We Say!